Digitalization of freight is one of the most popular topics in the industry media. Many startups are set for industry disruption, and many investors support the trend with millions of dollars in venture capital. Technology for online booking platform or price comparison services has been available for many years. It looks like a perfect industry for disruption! A cohort of ‘digital freight forwarders’ and ‘freight marketplaces’ emerged on the market. Their value proposition can be summarized in one phrase: “Booking.com for shipping”. And yet, today in 2017, it is still hardy possible to compare rates and terms of ocean freight suppliers. Even if some platforms enable online bookings, there is still a lot of human labour in the background. Real online freight will not happen anytime soon, and here is why. It’s never been easy to deal with the ocean freight, where rates consist of up to 25 surcharges and change quite often. Adding other transportation costs into the picture (door delivery, customs, port expenses), makes it one of the most complex calculations. But if you look at whole logistics process, it gets much more complicated. Let’s look at a typical shipment – a container with shoes from a factory near Beijing, China to a warehouse in Warsaw, Poland. Trucking company in Poland – delivers the empty container to the Inland Depot. After adding the insurance of the goods, we end up with 15 interactions of 13 different parties, including the state regulated ones. These parties are most often independent entities, not connected to each other. For the industry digitalization to happen, all these parties must be digitally linked in one smooth supply chain, globally. 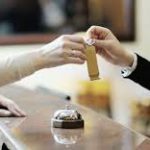 Coming back to the ‘Booking.com for shipping’ analogy: hotel booking platforms connect the property owners with the people who look for accommodation. This process involves 2 parties only, and government institutions do not check every hotel guest. Also, hotel booking platforms don’t arrange for any additional services, such as visas, airport pick-ups, meals or entertainment reservations. Hotel or ticket booking doesn’t remotely compare to the container transportation in terms of complexity. 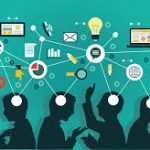 Is there any digital solution for the industry? For decades, traditional freight forwarders took care of complex logistics and supply chains. They have connections to the suppliers, agents, customs, and they take care of the entire shipment process, including that cargo insurance. Human factor plays a big role in this mostly relationship driven business. Traditional players are faced with the tough trend – strong demand from the market for simplification and digitization. But even the most advanced digital freight forwarders have a large team of humans in the office, who have to deal with the complexity of the actual logistics. 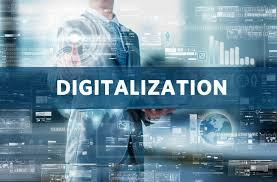 At Quotiss, we recognize that the demand for digitalization is, in fact, a demand for efficiency. The technology itself can’t fix the broken process. That’s why at Quotiss we first fix what’s broken, and then digitize it. Quotiss software has a smart algorithm, which simplifies and automates routine tasks, such as pricing management and quoting freight rates. Our software helps traditional freight forwarders to become more efficient at what they do. There is a big room for improvement in logistics, many internal processes need optimization: pricing, quoting, booking, invoicing. At Quotiss, we started with pricing and quoting – and this is just the beginning. The best proof that our vision works, is the fact that in under 6 months we signed contracts with 6 logistics providers. At Quotiss, we simplify and automate freight. And one day, this will become the industry standard.